The Secret of Sarah Pennington: The Secret of Sarah Pennington - Going International! The Secret of Sarah Pennington - Going International! FEBIOFEST was founded in 1993 by FEBIO, an independent film and TV company. During the hard transition period from communism to democracy and market economy, FEBIO provided a working opportunity to almost all important Czech filmmakers including Vera Chytilova, Juraj Jakubisko, Jiri Menzel, Jan Jires, Jan Hrebejk and many others. 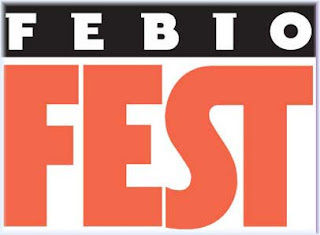 Starting as an enthusiastically organized, basically no-budget event for a couple of friends and film buffs, FEBIOFEST has grown during the past years into one of the largest film festivals in the Czech Republic, which nevertheless still maintains its original profile as an audience-friendly festival. We would love to travel to Prague for this festival! Follow “The Secret of Sarah Pennington” on Facebook to find out where it screens next!